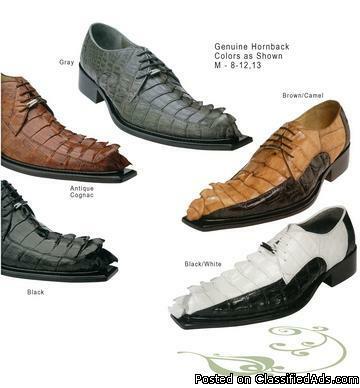 We offer a variety of Genuine Reptile Skin shoes such as Ostrich, Eel & Sting Ray, Velvet & Crocodile, Caimon & Ostrich, Hornback and many more. Find unique styles and sizes. Visit our website and click on 2014 Men's Dress Shoe Collection.